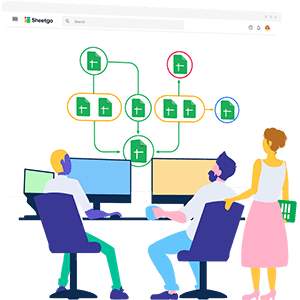 Join our global community and get access to the most efficient methods to create, manage and automate your spreadsheet based systems. Quantum Spatial Incorporated (QSI), is a geospatial data firm, and provides geographic insights to the largest government and corporate organizations that need geospatial intelligence to mitigate risk, among others. Read their story. Pasadena Independent School District has championed innovative educational learning initiatives supported by advanced programs and technology-driven resources that foster student success. Read their story. As a Public Career Tech Center (TCTC), enables students to become productive members of society by providing a comprehensive combination of academic and career-technical skills and experience in a safe environment. Read their story. CHEF514 are the first Farm to Plate network for chefs in the greater Montreal area. 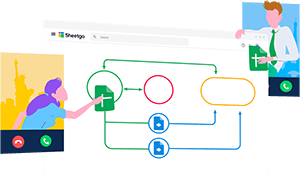 Sheetgo was the solution to consolidate data from the multiple spreadsheets in one place. Read their story. Siguetuliga is a social sport platform in Spain with over two million users. The first thing that would save them a lot of work was the application of Sheetgo’s CSV import feature. Read their story. Mercy Corps is an international non-profit working in more than 40 countries around the world. Sheetgo has helped Mercy Corps fulfill its needs by getting different spreadsheets ‘talk to one another’. Read their full story.